Well, they were right. 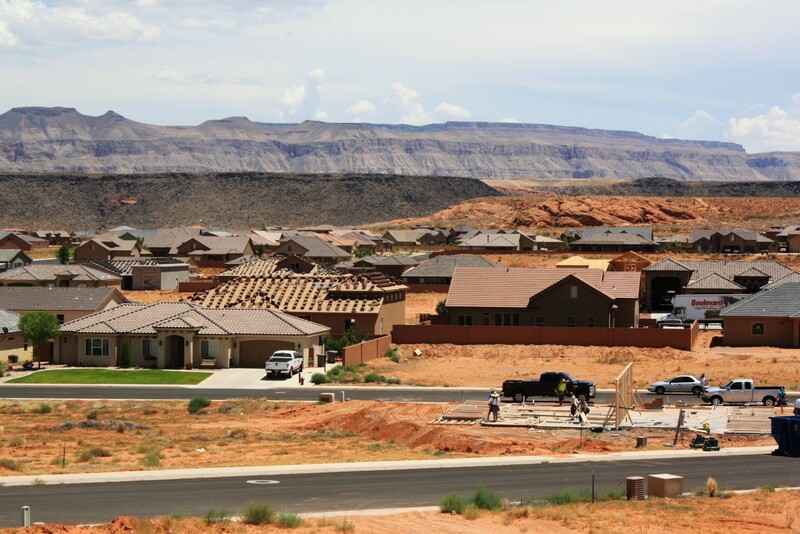 Interest rates are going up and, like the rest of the country, Washington County, Utah is experiencing a spike in home prices. According to Freddie Mac, average monthly interest rates have risen from 3.41 percent in March to 4.37 percent in July. The home sale statistics in Washington County tell that tale. According to the Washington County Board of Realtors’ Multiple Listing Service, the average home price in the county in 2012 was $193,132. So far this year, the average home price is $226,396, an increase of 17 percent. The total number of home sales has increased dramatically this year. Last year, a total of 1,538 homes sold in the county, while there have already been 1,833 so far this year, a 19 percent increase. “That is not a bad six-month average,” the Board of Realtors Chief Executive Officer, Vardell Curtis, said. 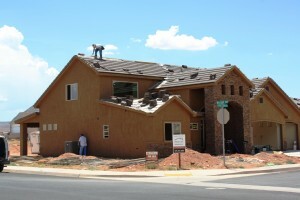 These statistics bode well for the community because construction workers are going back to work, creating a unique problem for contractors – a struggle to find subcontractors, both Curtis and Carol Sapp, Executive Officer of the Southern Utah Homebuilders Association, said. Sapp said many contractors are working with skeleton crews. Contrasting Sapp and Curtis’ comments, Charles Horsley of Innovative Builders, a company that specializes in framing houses, said he has managed to keep two framing crews busy for three years, despite the softer housing market of recent years. Bob Raybould, a realtor with Vista Real Estate, warned against the ills of a bettering market. For instance, RealtyTrac’s Mid-year 2013 U.S. Foreclosure Market Report ranks Utah 16th highest in the nation in foreclosures. Foreclosures are waning, however. Only one in 194 homes in Utah is in foreclosure according to the report and Washington County’s foreclosure rate has dropped by 55 percent compared to last year. That reduction in foreclosures has helped lead to the rise in construction to keep up with that reduction in inventory. Curtis said the market has been saturated with investors, who are not “flipping” properties this time around, but renting them. Banks are tightening qualifications for mortgages, making the rental market strong, he said. But some aspects of the local housing recovery are out of the hands of realtors, builders, and banks. “We don’t feel like we are in control of our own destiny with everything happening in D.C.,” Sapp said, pointing to changes in government-backed loans and other factors in the housing market controlled by bureaucracy. Mortgages are harder to come by, causing growth to be a little slower than the last time around. He shares the cautious optimism displayed by many builders in the area. “Our attitude about the market is that housing will continue to improve so long as there is national stability with a bit of a boom to come as people rediscover the tremendous benefits of St. George,” he said. Nobody ever went broke in Washington County blaming the boogeyman in Washington D.C. What is it that Carol wants from D.C.? More unqualified home buyers? Interest rates at 0%? I hope our city planners and inspectors are keeping an eye on this. The last building boom we had homes were built in places they should not be. Well Maggie since the city planners and inspectors are in cahoots with the builders, they won’t be keeping an eye out for anything but the money in their accounts! It’s not so much the builders that are in cahoots with the politicians it’s the land owners/developers. A person can’t even find a one level, slab-on-grade 1/4 acre lot in St George, Ivins or Washington for under $75k…when one does get lucky to find one they have to factor in, on average $20k to $23k, in “impact fees and water conservancy fees” before they can even hammer a nail… So- a person is at $100k before a footing is dug… Who’s greedy?!? Washington County has over priced housing and suppressed wages, yet we have a big housing boom! Have to wonder when that bubble goes burst again!!! A person can go find lots in Hurricane for $35k to $40k but that’s going to be in the new phase of Dixie Springs below the damn dam… Como se dice Flood Insurance? I guatantee the average wages didn’t rise 17% in that same 12 month period… The median family income in Washington County is slightly over $41,000 while the average home price is $226k… at 4.5% interest on a 30 year note, that $226k home on an FHA loan ((because who can save up a 20% down payment on a family income of $41k when one has to pay for health insurance premiums that you’d think came with gold as much as they are, utilities, school, food, car insurance, 401k (what’s that? ), Doctor and Dentist visits that you’d think were platinum plated based upon the cost, college savings plans for kids, Taxes, etc…..)) and then have a monthly loan payment close to $1,400… That 17% home price increase primarily has to do with lot prices and land prices spiking substantially… All the “good ol’ boys” that own the land that’s zoned Residential are pals with the the one or two developers in town so they have what we call a Monopoly! !